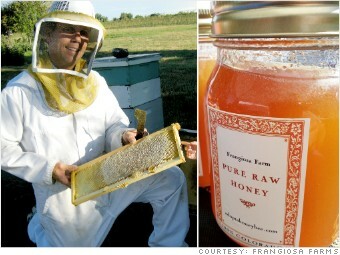 Located 25 miles south of Denver, Colo., Nick French cares for a dozen bee hives that produce organic honey that's kept as close to its natural state as you'll find. Frangiosa Farms a tiny operation. But since he started accepting Bitcoin a month ago, he's already received three orders in the digital currency. He has accumulated about a half a bitcoin so far. That doesn't sound like much, but that's worth about $400. "I do anticipate it to grow, especially as the popularity is growing," French said. "People are really jumping on the bandwagon."